Marcus started playing golf almost three years ago – he’s off 16 now. At the time of fitting his bag was a collection of second hand clubs bought from mates’ dads and gumtree. His major complaint was that his 3-wood ballooned up into the air and would regularly hit his 3-iron past his fairway wood. Was looking for more consistency throughout his set. We started the fitting with his irons and quickly realised that he was creating too much dynamic loft at impact, which in turn was creating too much spin. We needed to reduce his launch and spin to increase his efficiency at impact. By putting Marcus into the Cobra King Forged TEC head and KBS Tour R shaft, we were able to decrease the dynamic loft at impact by 4 degrees (same loft difference between the AP2 and King Forged TEC) and helped him shallow out with attack angle by 1 degree with a lighter and softer shaft. This created an 18m gain in carry with a higher peak height. This combination will also help with scoring as he will be able to hit 2 clubs less into the same distance as he does now, meaning in fact, increased spin, height and landing angle to current distances. After getting great results with the irons, we then proceeded to the woods and made some great gains here. Increasing on average 25m with both the Driver and Fairway Woods, as well as increasing efficiency, we have been able to get Marcus more confident in hitting the long clubs and making sure that he enjoys the game more! We fit Marcus to the Callaway Great Big Bertha Epic Driver 10.5 head for the driver and the TaylorMade M2 2017 Fairway 3 wood. We matched the driver up with the Oban Devotion shaft and the 3-wood worked best with the Fujikura Vista Pro 75-S.
On an average Par 70 golf course, Marcus is now playing the course 762m shorter as he is now hitting the ball longer and straighter than ever before! 16Hcp??? Not for very long! As the lightest shaft in the KBS product line, the KBS TOUR 90 is designed for players seeking higher trajectory, additional spin and maximum distance. Technology Enhanced Cavity. 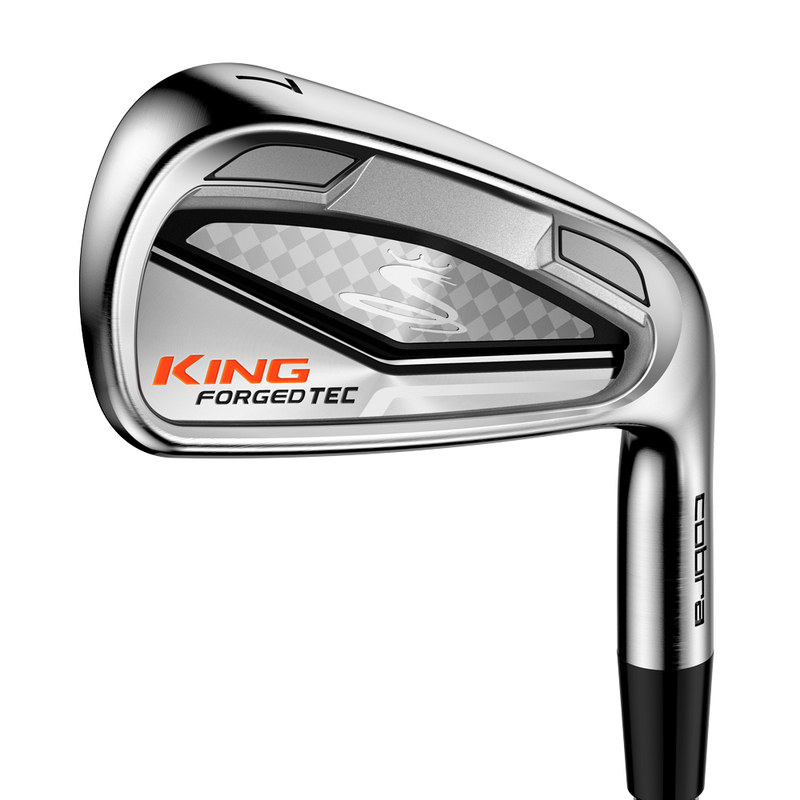 The New KING Forged TEC irons offer the Feel and Precision of a Tour Iron, and the Forgiveness and Distance desired by all. The best-selling Crossline grip delivers maximum surface traction and outstanding torsion control. With more than $200,000,000 in worldwide Tour earnings, Crossline grips have been a favorite among top players for nearly 20 years. Epic Distance for Every Player. The GBB Epic Driver represents an epic shift in how the head and face behave to enhance power, spearheaded by our innovative Jailbreak Technology and Exo-Cage / triaxial carbon construction. Any golfer, from scratch players to high handicappers, should find more speed, distance and control with GBB Epic. The Devotion Series is OBAN’s most diverse offering with various shaft weights ranging from 43 grams to 84 grams. The design pattern remains consistent throughout the Devotion Series, while kick points and torques vary depending on the weight class. In the 2017 M2 fairway, the ultimate distance fairway has been made even more forgiving with the incorporation of a recessed 6-layer carbon composite crown, Inverted Cone Technology (for the first time in a TaylorMade fairway) and a new Geocoustic sole design. Making its triumphant return in 2016, the new Vista PRO Series replaces our popular EXS line and recalls a classic, Tour-trusted Fujikura design. The revamped Vista PRO line gives every fitter versatility, professional grade technology, and Tour design aesthetics in a single consumer-friendly line. Hit it straighter, longer and better.